Historical evidences are scant and scattered. Historians have tried to fill the voids with legends. Though legends are not evidence per se, they do carry a seed of truth somewhere. The lost engineering techniques of several great temples have not received the importance they deserve. This is true for Konark too. 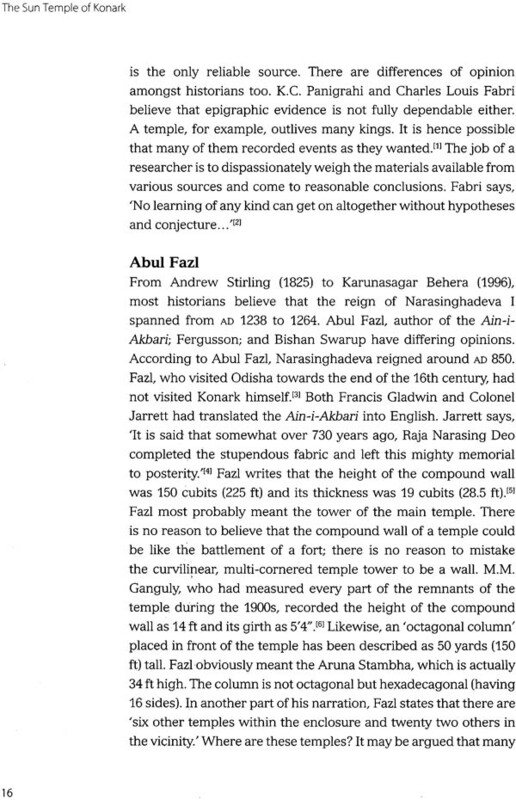 In The Sun Temple of Konark, the author attempts to separate chaff from grain utilising scientific tools and methodologies. The Sun Temple has been recognised as a UNESCO World Heritage Site and is considered one of the seven wonders of India. This seminal volume is the result of extensive research by the author into not only the history and legends related to the temple, but also the legends on the temple. An engineer and architect by profession, the author examines the architecture and engineering of the temple in great detail. He questions several of the established theories regarding construction in its various stages and forwards his own theories with reasonable conviction. He takes great pains to go into as much detail as possible with regard to each and every portion, monument, and sculpture of the temple. 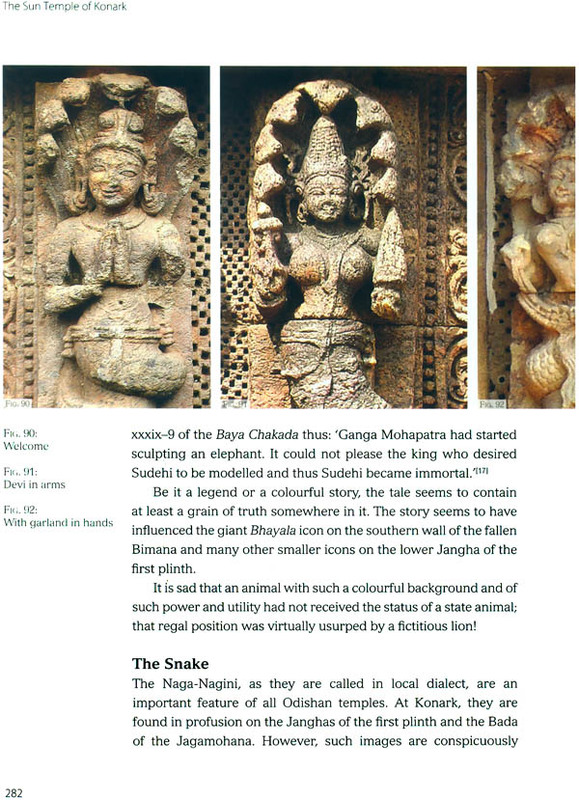 With 415 images and 21 detailed architectural drawings, the book is a treasure trove for any admirer or student of Konark, or a researcher of its art, history, and architecture. An engineer by profession, Anil Dey undertakes studies on temples in Odisha, his absolute passion, and has spent over 60 years in this activity. This book is the culmination of this long and arduous research. An avid traveller through the Himalayas, he has to his credit five travelogues, and a number of short stories and articles. 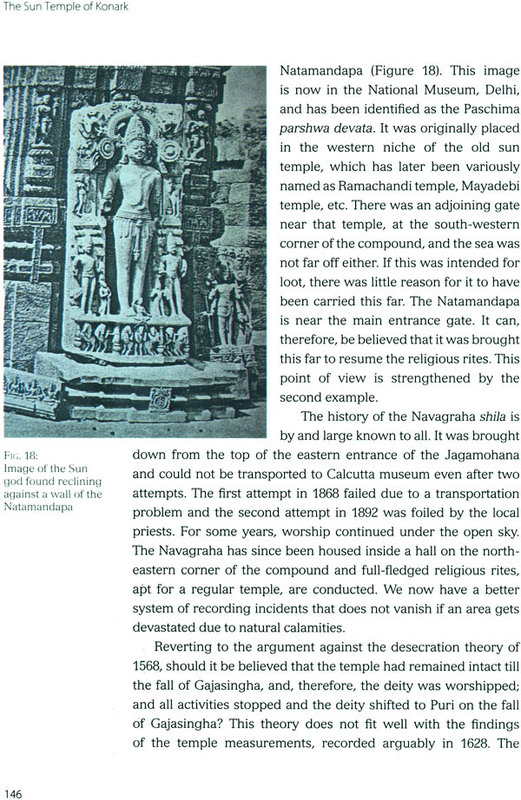 He has also authored a book on Konark in Odia language. Photography is his childhood passion and he is also an avid photographer. Of late, Mr Dey has been involved in promoting the Kalinga Heritage Preservation Trust (KHPT), with the aim of constructing a Global Sun Temple in Konark. 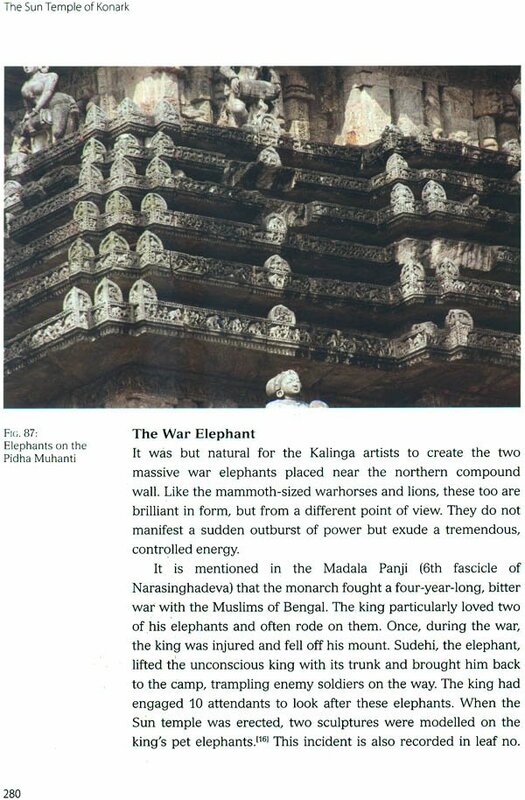 I was elated when the author asked me to write a few words about his work, The Sun Temple of Konark. I am all the more pleased because I had the privilege of being associated with the work when engineering of the temple was being dealt with. Being associated with the Temple Committee, appointed by Odisha Government to advise on repair and maintenance of Temples in Odisha. 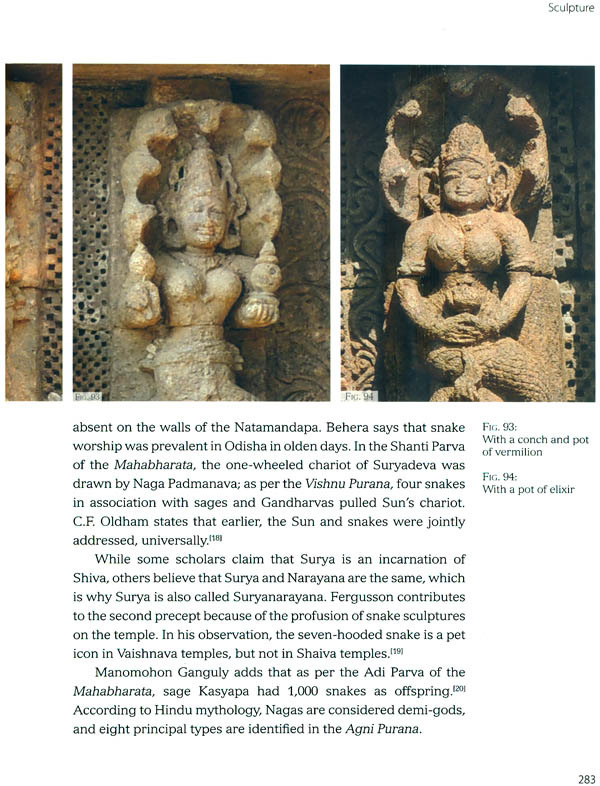 I am aware that the engineering aspects of temple building in Odisha are still shrouded in mystery. With the exception of Er. Manmohan Ganguly, who authored Orissa and Her Remains in 1912, and Mr. N.C. Bose. I believe, this aspect has not received due attention. 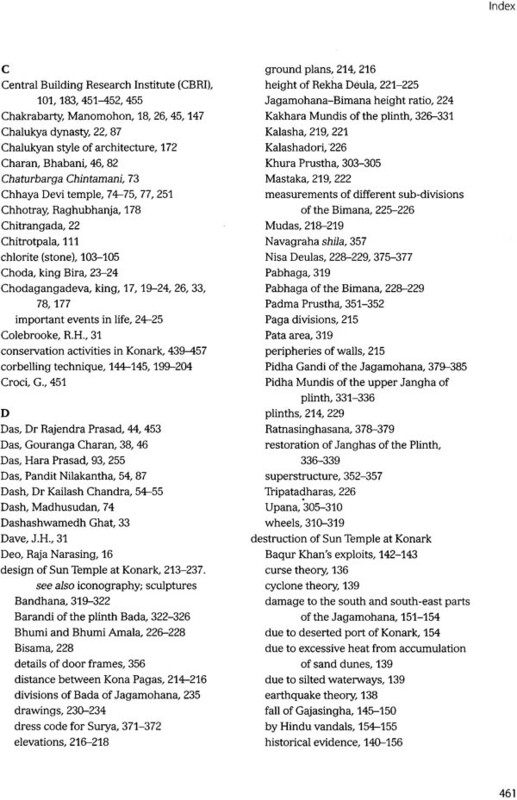 The illustrious Ganguly measured a number of temples in Bhubaneswar, Puri and Konarka and tried to establish working equations between different parts of the temples. Sri Dey has carried forward the work to a great extent, by applying mathematical and scientific tools, to gain insight in to the unknown. He is still crusading to start a full scale research project under the aegis of a top engineering institution of the country. The author's work has not remained limited to engineering alone. He has delved in to the History, Architecture, Art and even literature, with the same incisive scientific approach. Presently the octogenarian author is busy with a Trust, he has created, to build a new Global Sun Temple in the architectural, sculptural and spiritual tradition of the great Sun Temple of Konarka. 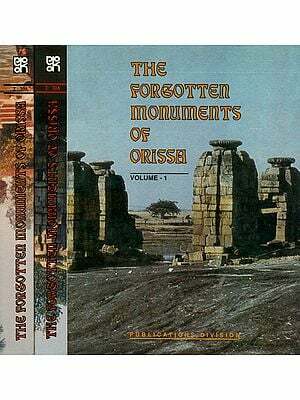 For persons interested in temple architecture of Odisha and Konarka Sun Temple in particular, this book is a must read. I am honoured for having been asked to introduce his book. The Sun has been worshipped the world over from the very dawn of civilisation. The practice was first recorded in Egypt (2500 BC). The primacy of their claim is now challenged, after the excavation of an 8,000-year-old relic in Bulgaria; a claim yet unsubstantiated. People belonging to 11 countries, including India, used to worship the Sun God-Konark was the last in this chain. There are 14 places in India where Sun worship is still prevalent. What makes Konark so exceptional that people deemed it one of the seven wonders of world, and, even when in ruins, compelled UNESCO to confer it with World Heritage status? My tryst with Konark started when three lads including this writer, one summer night way back in 1948, cycled over 100 kilometres to reach the lonely, sand and windswept ruins of Konark. 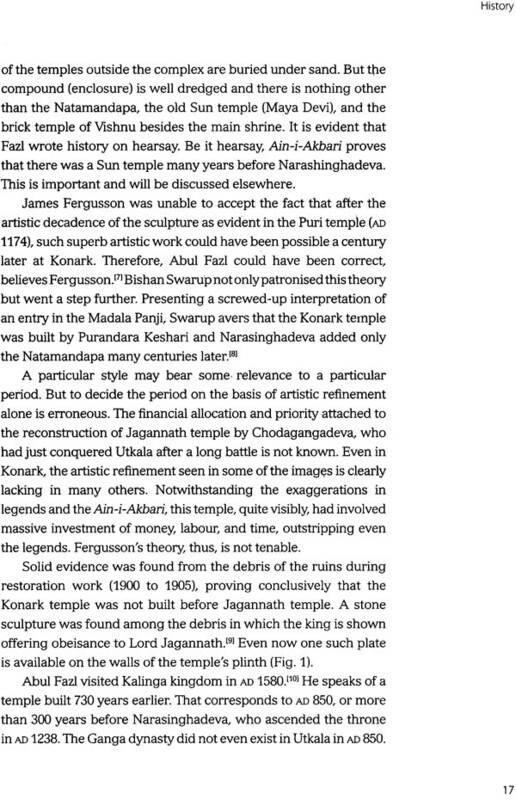 The monument held me in a trance and compelled me to visit Konark time and again in the following six decades. As the adolescent crush wore off, I started discovering, beyond the magnificent sculptures, secular messages not normally found in traditional places of worship. The murals and friezes were executed with such dexterity and passion that one finds no parallels in temple art anywhere in India. As I delved deeper, hurdles loomed high. It is the bane of the Indian subcontinent that our forbearers left no written record of their deeds. Palm-leaf chronicles called the Madala Panji are perhaps the only exception. These, again, are shrouded in so much controversy and contain such contradictions that their historical value has often been questioned by scholars. Matters relating to technology are still worse. High-rise stone temples continue to prevail even today without any cementing material in their joints. Was there no engineering technology involved? Did they manufacture the great rust-resistant steel beams without any engineering knowledge? The masters were extremely secretive in parting with specialised knowledge. Thus, colourful legends have taken the place of epigraphic evidence. Barring a few, historians in general have skirted this important topic. I can think of only three persons who have done pioneering work in this matter. In 1834, Rama Raja, judge and magistrate of the erstwhile state of Mysore, in his 'Essay on the Architecture of the Hindus', tried to unshackle Dravidian architecture from the mnemonic notes contained in some obscure scriptures he could lay his hands on. Seventy-seven years later, in 1912, the Sanskritist engineer Manomohon Ganguly tried to set an engineering base for making Indo-Aryan temples. 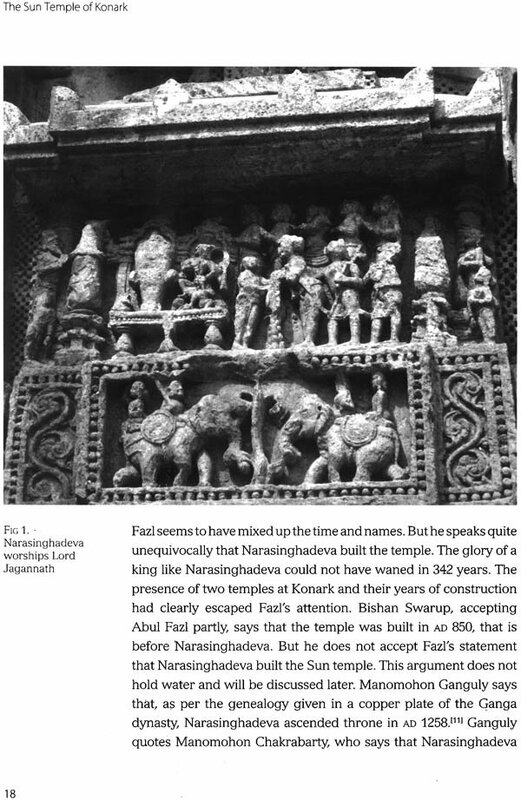 He was of the opinion that Indo-Aryan temple architecture, in its purest form, remained in Odisha alone, but he was not as fortunate as Rama Raja. 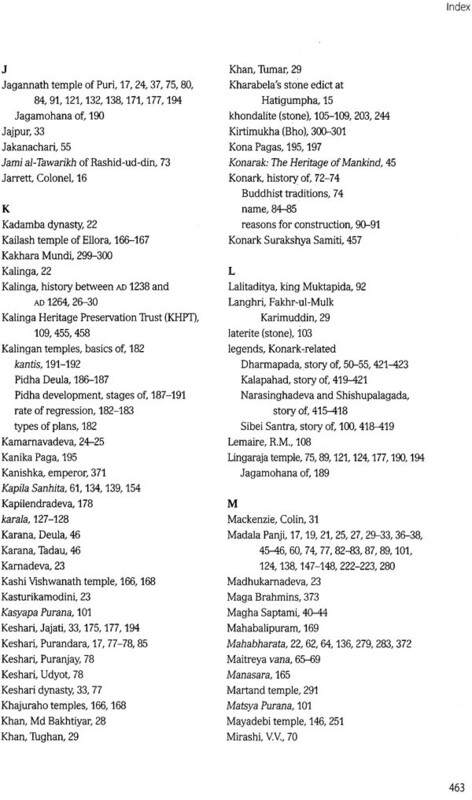 Barring a handful of Sanskrit texts, he could not find any shilpa pothis written by the Odia masters of the past. 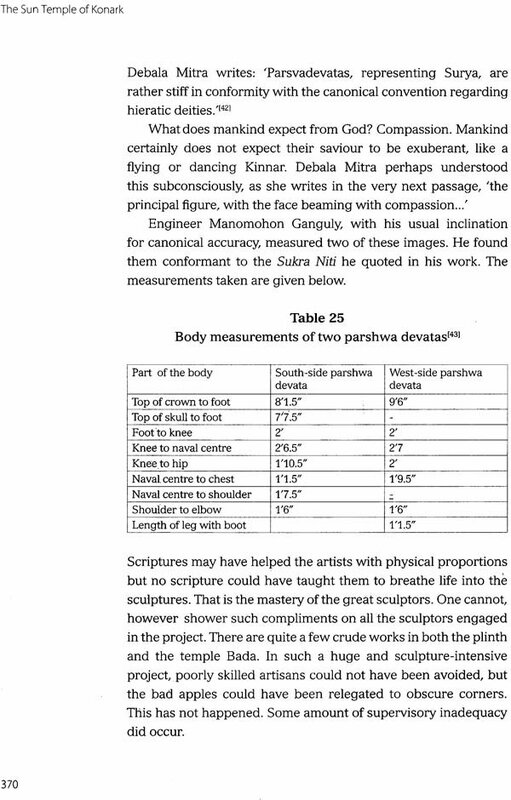 He then measured a number of temples in Bhubaneshwar, Puri, and Konark and tried to develop a set of ephemeral rules applying reverse engineering techniques. He also performed lab tests on samples of the rust-resistant beams and used the tenets from Sukra Niti to test the physiologies of images. 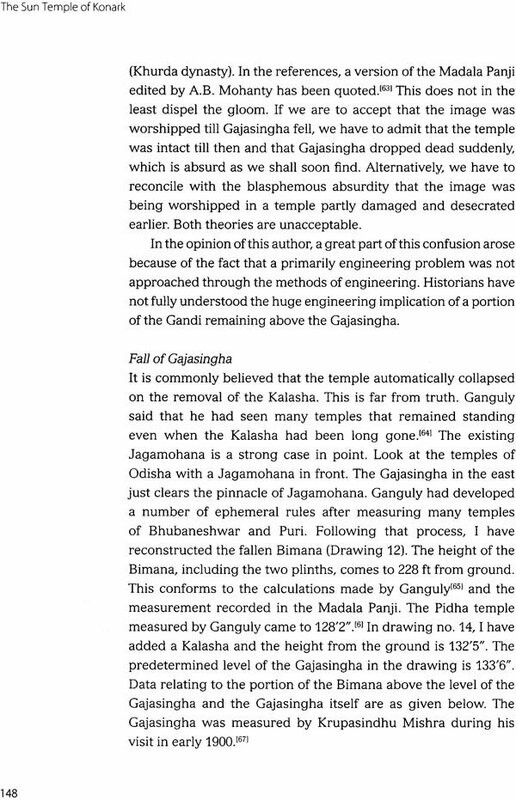 Orissa and Her Remains written by Ganguly will remain a major step forward in the study of the engineering of temples. 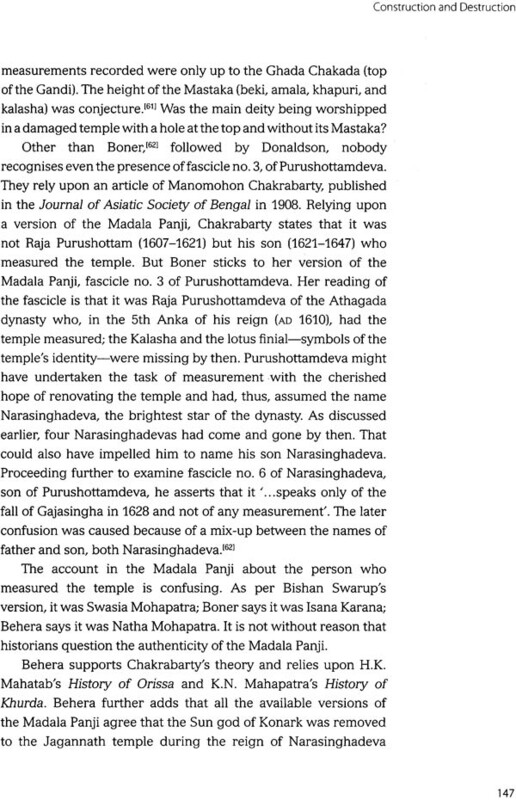 Nineteen years later, in 1931, arrived Nirmal Kumar Bose with his well-documented Canons of Orissan Architecture. He was more fortunate than Ganguly in as much as he could lay hands upon seven palm -leaf shilpa pothis written by Odia master craftsmen. His incisive probe, however, found none of them to be of antique value and with no mathematical calculations to address engineering problems. The seven pothis are valuable to the extent that they present a number of architectural designs of the different types of temples in Odisha. I have generally tried to follow the footsteps of these great scholars, Ganguly in particular, though it was noticed that even Ganguly's thumb rules did not work in some cases. This is normal in the world of science and no disrespect is meant. I have by now identified 20 unsolved questions, which demand institutional involvement. Attempts are being made to net in the Indian Institutes of Technology (IITs) and the National Institutes of Technology (NITs) to undertake full-scale research. The main approach within the limited space of this book is to crack legends with a scientific tool and arrive at the core. I may mention, in the passing, that the exercise done to establish the date of consecration of the Sun God at Konark, find the historicity of Samba and to break the legend of sand piling to lift heavy stones to heights. I believe some scholars may disagree with my findings, but, as long as scientific methods are followed for further evaluations, my labour will not go unrewarded. There is another variation that makes this book different from standard history books. No historian will ever think of adding a chapter on intangible matters like poems, dramas, or fictions to his work. I am not a professional historian and, therefore, do not feel bound to epigraphic proof while dealing with different forms of truth. I believe, historical truth and heartfelt truth could be different and both are important in their own place. 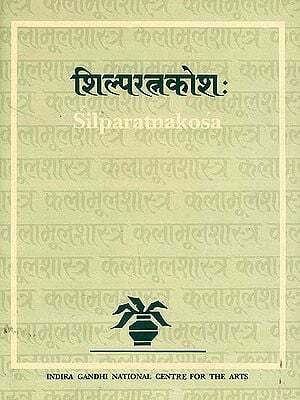 I have torn the historicity of the legend Dharmapada to shreds, even if at the cost of ire expressed by some of my readers, but have also regarded Gopabandhu's Dharmapada of the level of Tagore's Debatar Gras in a different chapter. Both truths are valuable to the society. Yet, there are eternal truths that defy time. This is the character of an epic. 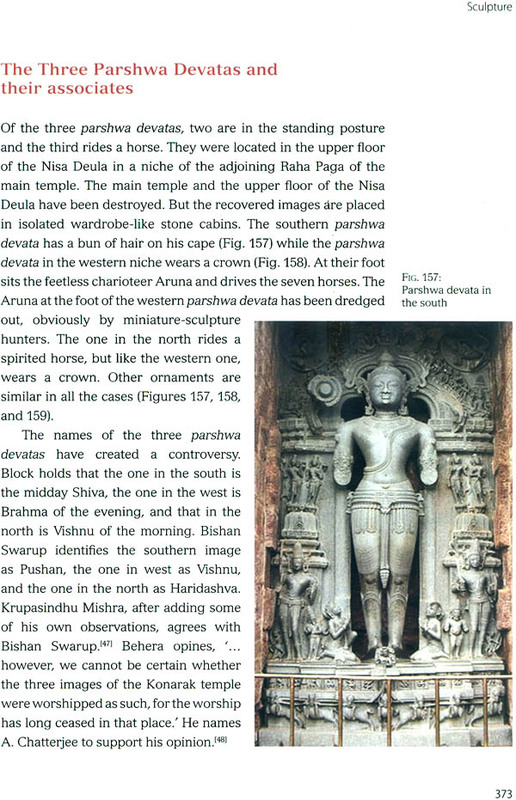 The Sun temple of Konark was an epic written on stone. It could be created again and again without offending contemporary social mores. 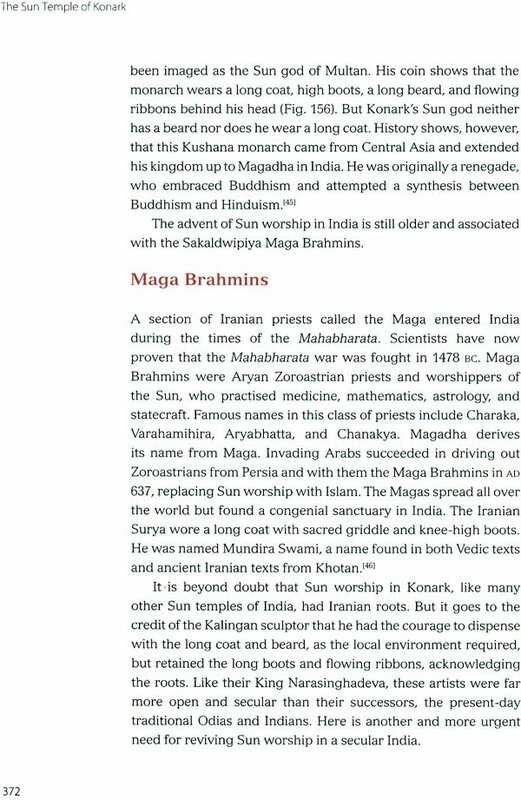 With that justification in mind, I have added a subchapter at the end of the book on building a new, Global Sun Temple. 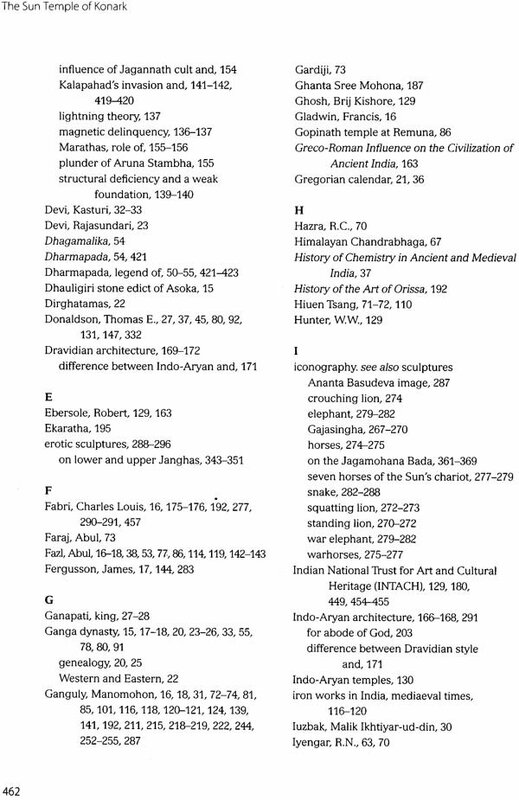 I am not inclined to increase the girth of the Preface by describing the contents of each chapter of the book. 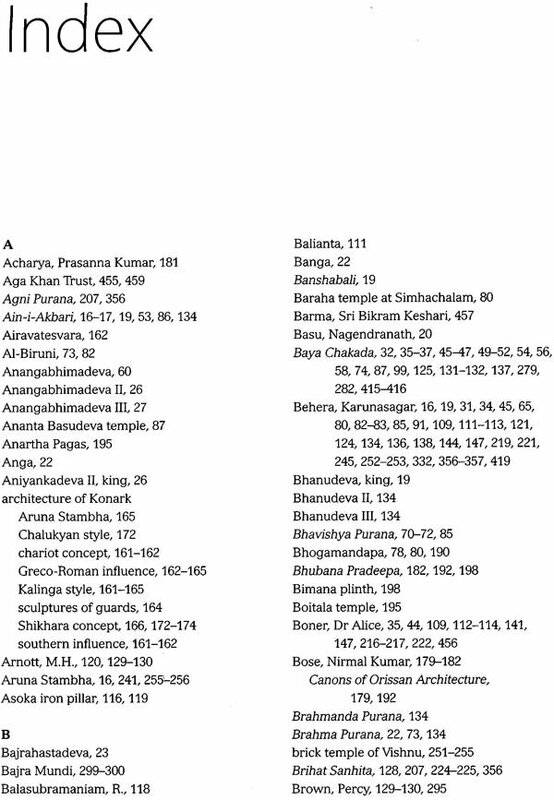 The contents list and index have been carefully prepared and tell the readers, at a glance, what they may expect in which chapter. Reiterations are unnecessary. Photographs used in this book are text related, not decorative. Each photograph tells a story. 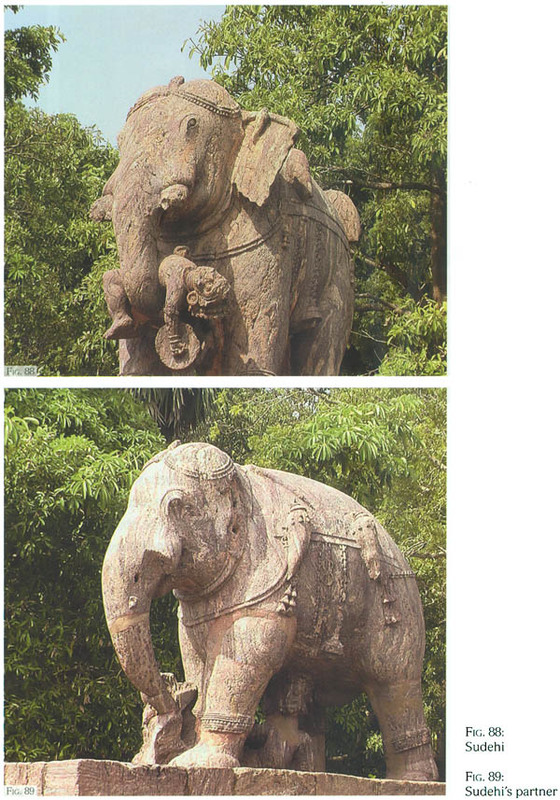 There are 410 photographs in all, spread over 196 plates: photo credit for 188 of these goes to Sri Gyanashis Jena, an environment consultant, who snatched time from his busy schedule to visit Konark twice to shoot them; 174 pictures are chosen from the lifelong collections of the author, who is in the habit of visiting the ruins as and when he can; 9 rare shots have been received from ASI; and the rest from different sources. There are 21 line drawings in the book. Barring two, received from friends, the rest are drawn by the author himself. 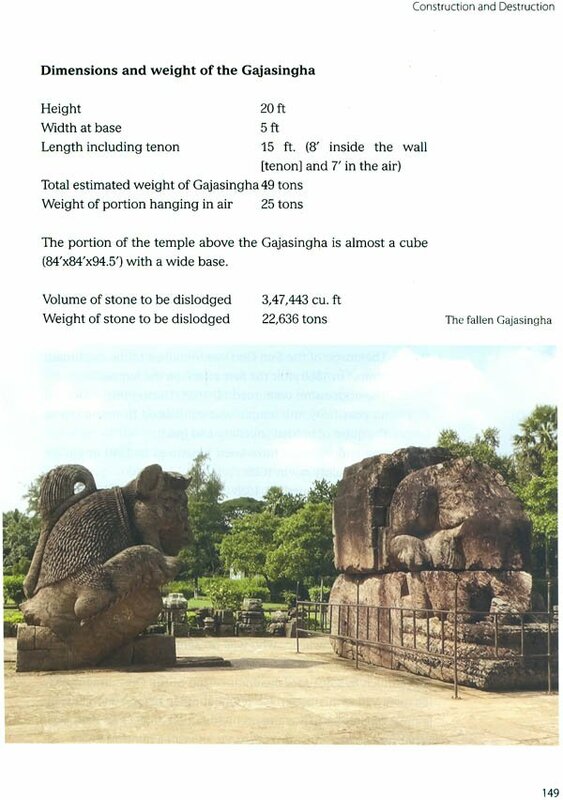 ASI, Bhubaneshwar, has graciously supplied five engineering drawings, two of which contain the base plan of the 5-temple cluster with detailed measurements. This has helped the project greatly. I am indebted to so many persons that I am not sure whom to start with. My deepest gratitude goes to Professor Ramakanta Jena, my neighbour and dear friend, but for whose constant goading, initial editing, and help at every step, this work would not have been possible. The photo session required careful planning. Prof. Jena guided the photographer team strictly in accordance with the plan and has himself captured four rare shots originally not in the plan. Any amount of praise will not be adequate. Sri Asit Mohanty is a senior editor of a local vernacular journal. He almost forced me into writing a text in Odia language as early as in 2010. He was of the opinion that although Konark is the greatest heritage of Odisha, other than one Odia book written in 1919 there has been no attempt to author a comprehensive work in the mother tongue. I am indebted to Mohanty for choosing me for this herculean task. 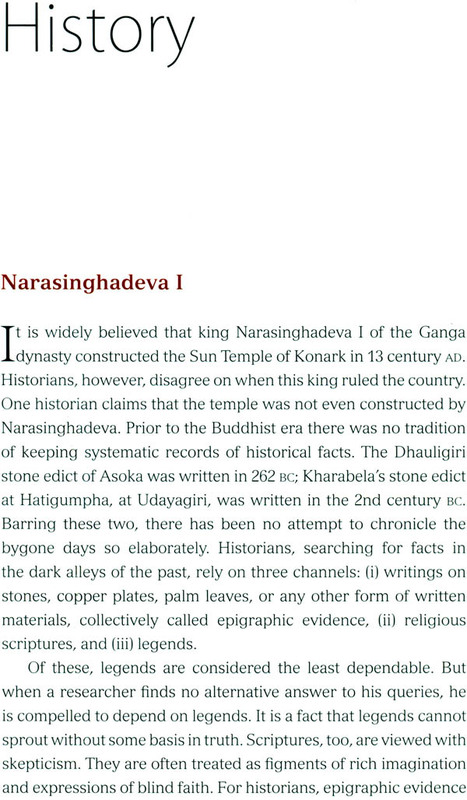 Let it be stated clearly here that this English work is not a translation of the Odia Arka Kshetra Konarka. This English text has been written anew, with at least three chapters completely recast with new facts and approaches. For a work of this nature, references are necessary. They are many and most of them are out of print. Friends who have helped me with Xerox copies of a number of rare books are Sri Narayan Prasad Nanda, Sri Asit Mohanty, Sri Ramakanta Jena, poet Sailaja Rabi. artist Durgacharan Panda, and advocate Namita Pattnaik, besides Mr Sahoo, the local librarian. Dr J.P. Das, an author of international standing, has taken an undeserved liking to me for reasons best known to him. I am indebted to him first because he persuaded me to change streams from travel writing to more serious work. Even in working out this text and publishing the same, his silent gestures have been valuable. As I have mentioned before, engineering is a major part of this study. Apart from the inadequacy of available material, there were hardly any qualified engineers to guide me in this out-of-the-box study. 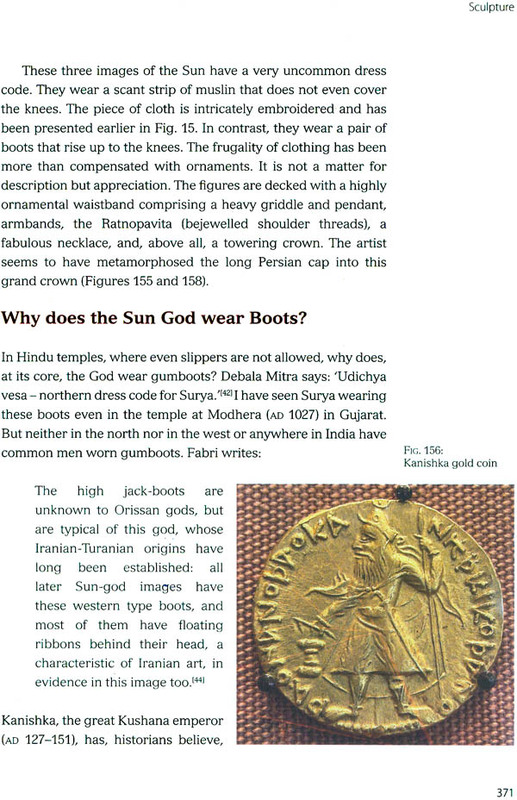 Dr Gopal Chandra Mitra, who has written the Foreword to this book, fit the bill. Dr Mitra's bio (on the back cover flap) amply clarifies his credentials. He went through the script from time to time and helped me with suggestions wherever necessary. 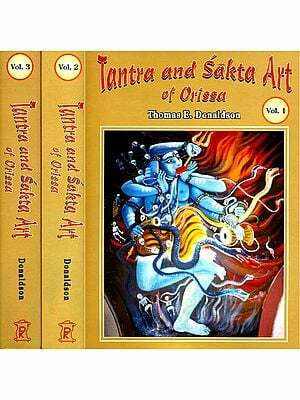 Lastly but with my highest gratitude, I thank Niyogi Books for having undertaken the publication of my work. They are, I am sure, introducing the English- speaking world to an ancient civilisation that will make any nation proud.